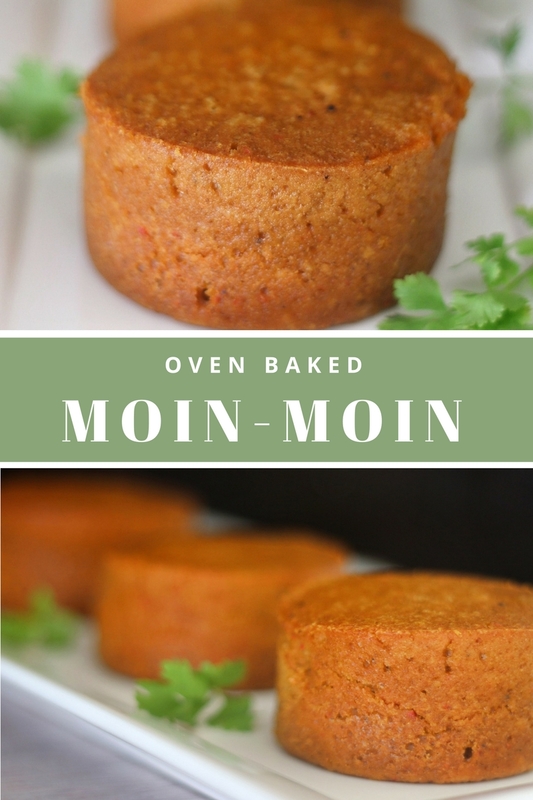 Earlier today I put up a post on my Facebook, My SnapChat, My Twitter asking which Moin-Moin recipe to post: Moin-Moin made with beans or Moin-Moin made with beans flour, the people voted and beans flour won! LOL. I quickly ran to the market to buy smoked mackerel fish and the rest of my Moin-Moin ingredients I didn't have at home and within an hour 30 minutes I made it, filmed it and here it is for you! You definitely should SUBSCRIBE to my YouTube Channel by Clicking HERE to see ALL the recipes I have. Warning: DO NOT copy my recipe text to your blog or website without my consent! You can share my videos but don't copy my recipe TEXT! Wehdone. Beans flour makes making moin-moin so easy. Using Ramekins make it easier. Using the Oven makes it the easiest thing to prepare! LOL. In a baking pan, pour enough water to fill it and place in the oven under the baking tray where the moin-Moin will be. Pre heat your oven to 350 degrees. When done, leave out to cool for 10 minutes then tip the ramekins over to take out the Moin-Moin or was as e dey hot! Very nice recipe and simple. Please can aluminium plate (old school moi moi plate) be used in the oven in place of the ramekin? Yum! Yum! I've never tried moimoi out before. I should try this recipe soon. 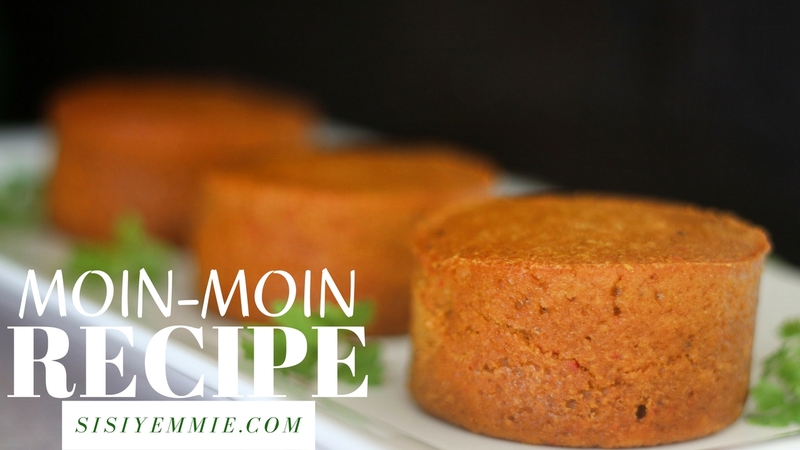 Sisi Yemmie you are a genius, see how simple you have made moi moi I will give this a try. I am not the biggest fan of moi moi unless my dad is making it LOL. However I really want to make a vegan version for this for church. Do you think i could use a cupcake tin? Hi dear yemisi please where can we get the ramekin bowls from please. Thank you. The 'Shombo' is also known as 'Cayenne Pepper'!!!! !